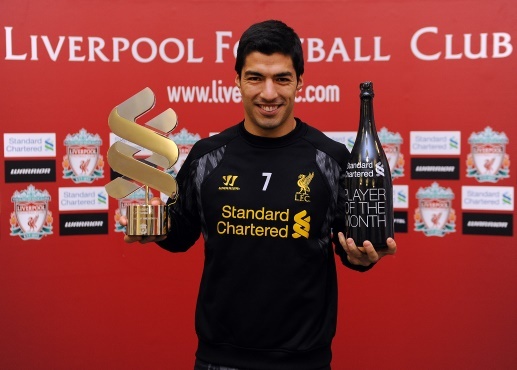 After a month which included a first-ever Anfield hat-trick for Luis Suarez, Reds fans have selected the Uruguayan forward as the Standard Chartered Player of the Month for October. The No.7 struck four goals during the month in helping Liverpool win twice and draw once in the Barclays Premier League, beginning with a smartly-placed finish against Crystal Palace. He then created Daniel Sturridge's equaliser at Newcastle United, before taking centre stage the following weekend with a superlative hat-trick to down West Bromwich Albion in front of his own fans. Supporters were invited to cast their vote in the Standard Chartered Player of the Month poll via the club's official Twitter account, with Suarez the first-choice ahead of Steven Gerrard and Sturridge. The Uruguay international was presented with the accolade at Melwood on Friday morning, and fans can watch the moment - including a short interview - by clicking play on the free video below. 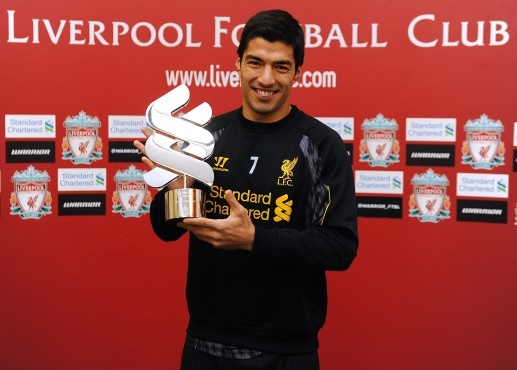 Upon receiving the prize, Suarez told Liverpoolfc.com: "It's a very important prize because the last few months have not been good for me. This prize is very nice to change the situation. "It was a nice moment because when I arrived here at first, I was imagining scoring a hat-trick at Anfield. It's unbelievable. When you score, it's a good moment. Here at home, it's even more important. "We have played very well. We can stay up there because we have very good players for the top four. We know this season we have a great chance to finish in the top four." 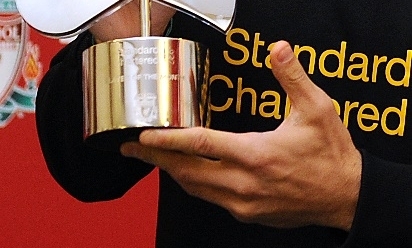 For extended evidence of why Suarez was the supporters' choice for the award, tune into LFC TV at 6.15pm GMT tonight for our dedicated Player of the Month programme. The club's official television channel is available on Sky channel 429, Virgin Media channel 544 (as part of the XL pack) and online with an LFCTV Online subscription. Click here for more details.